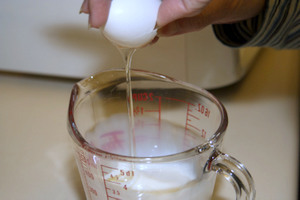 Crack the egg into the milk. Add the sugar into the mix. 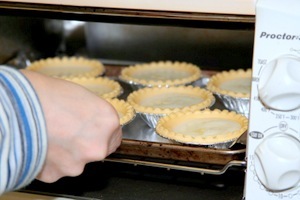 Pour the mixture into the tarts, leaving 1/4″ at the top. I use a toaster oven to make the tarts. For some reason I have never been consistent using the conventional ovens. 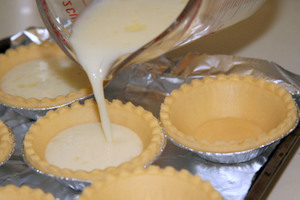 Anyway, pre-heat the oven to 425 F. Bake the egg custard tarts for approximately 10 minutes and the reduce the heat to 400 F. Bake for another 10-15 minutes until the custard has set. You will know it is done when the knife placed in the middle comes out clean. 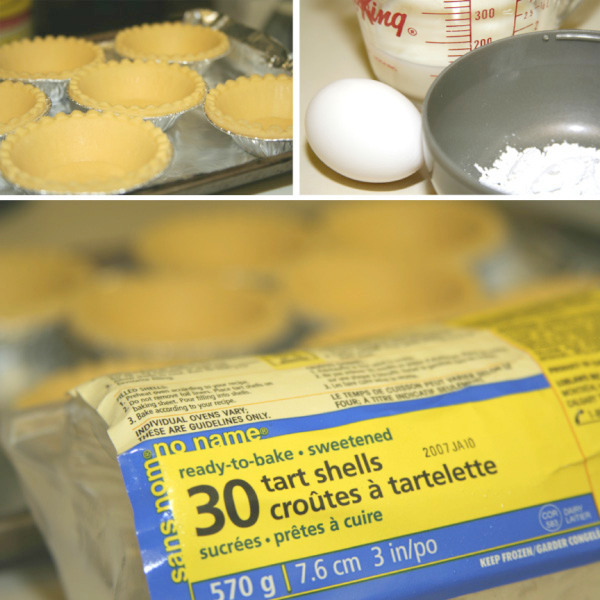 It’s great for your sharings of the easily made egg-tart. Where can we buy the shell. We are in San Jose/San Francico, California. i was wondering if i can replace the superfine (castor) sugar with regular sugar or icing sugar? 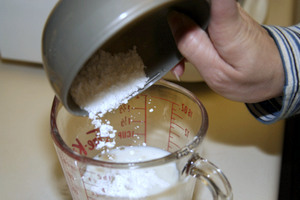 Hi flown, you can replace superfine sugar with icing sugar. Hi Susan, my egg custard tarts did deflate after I took them out from the oven. Try to fill the tart with a bit more filing next time. I tried this recipe today and I followed every step you showed.The thing is yours looked so fine but mine the egg custard actually caved in after I took them out from the oven.May I know what went wrong here? Is this more like a milk tart than an egg tart? 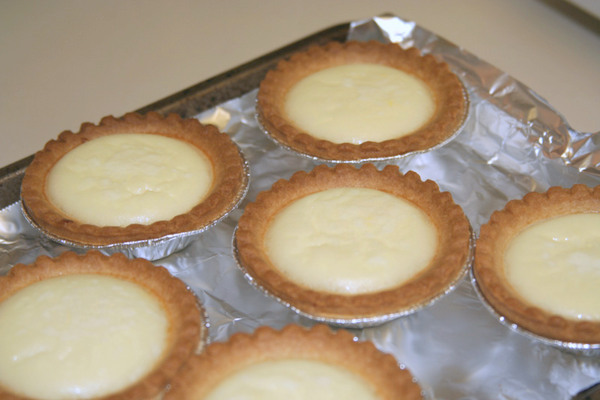 I’m looking for a milk tart recipe, like the kind you can get in Hong Kong, and the colour of your tarts looks like those of milk tarts. Ooh! Egg Tarts! I love egg tarts! or in cantonese, daan taat. But I see it’s a little bit too white. what I would suggest doing is to add more egg yolks for color and texture! I’m trying to get something like Lionel’s custard tarts. From “As time Goes By”? Could this be the answer??? taste fuking lovely wen dun right!! This looks very easy to make thank you. I love milk tarts very much. Surprised, right? Polly? I think your family will like it. My boys loves it a lot and it’s all gone within hours. Wow! I didn’t know that, just one egg can make out 8 egg tarts!!!! and it look so simple for me. Well, I’ll try it one day. Thanks for the receipe. Hi! I found your link from technorati. Tks! It is great you can find prepared tart casings. I don’t think we have that over here in Malaysia. Beautiful tarts you got there. Great looking site. Congrats!! I’ll change your address on my Links. I can’t decide if that sounds appetizing or revolting. You are right, they do look easy enough to make… maybe I should try it.